While budding young talents will be meeting up with space professionals at the CELM military base in Southwest France, a one-of-a-kind space festival awaits the visiting public on the beach at Biscarrosse on 26-27 August. Experimental rockets will be soaring skywards again at this year’s C’Space event. Credits: CNES/S. Girard. Biscarrosse from 23-27 August for the C’Space 2010 event. C’Space has fast become the place to be for youngsters keen to present their very own high-tech space projects. 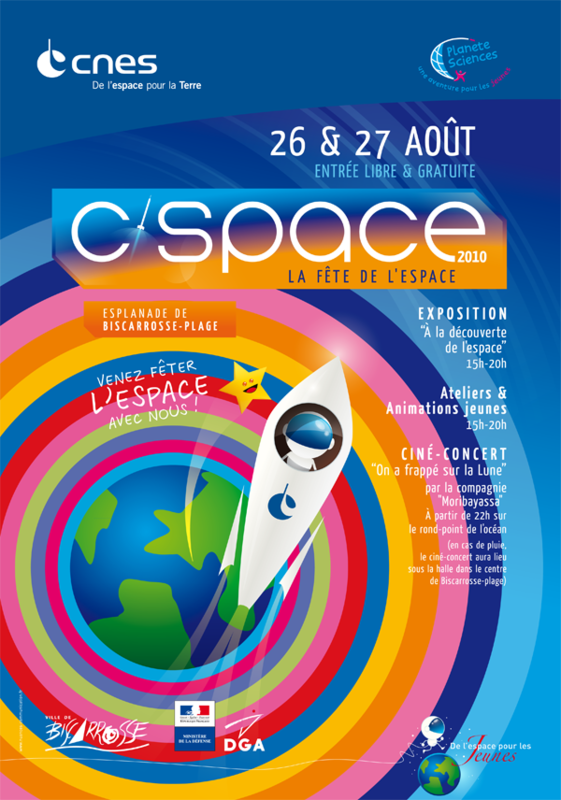 The aim of the event, organized by CNES and non-profit association Planète Sciences, is to raise the profile of space activities, spur innovation, set up new clubs and projects, and most of all to bring together students and space professionals. 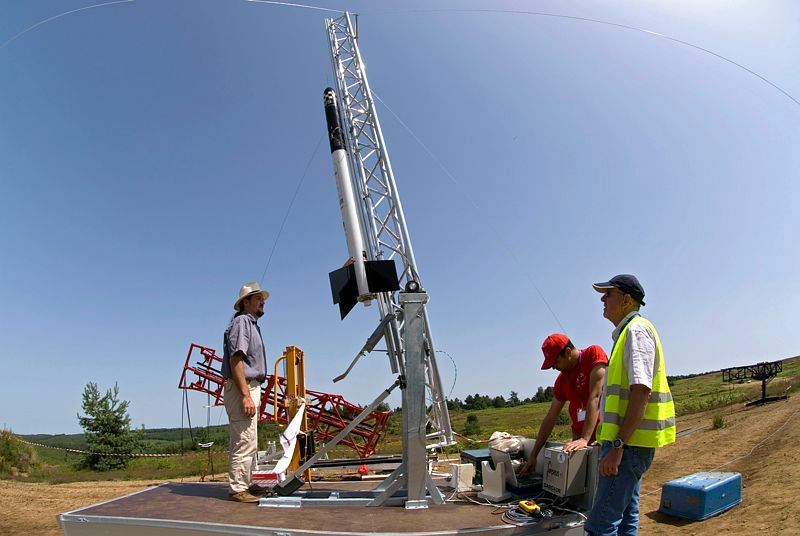 For 6 days, a packed programme of conferences, rocket and balloon launches and competitions will be going on at the CELM missile test site operated by the French defence procurement agency (DGA) in Southwest France. The rule for Cansat is that everything must fit inside a package the size of a drink can. Credits: CNES/S. Girard. Professionals, space club educators and specialists will engage in debate at a series of conferences and gatherings. Mini-rockets, experimental rockets and experimental balloons built by clubs throughout the year will also be launched during the event. 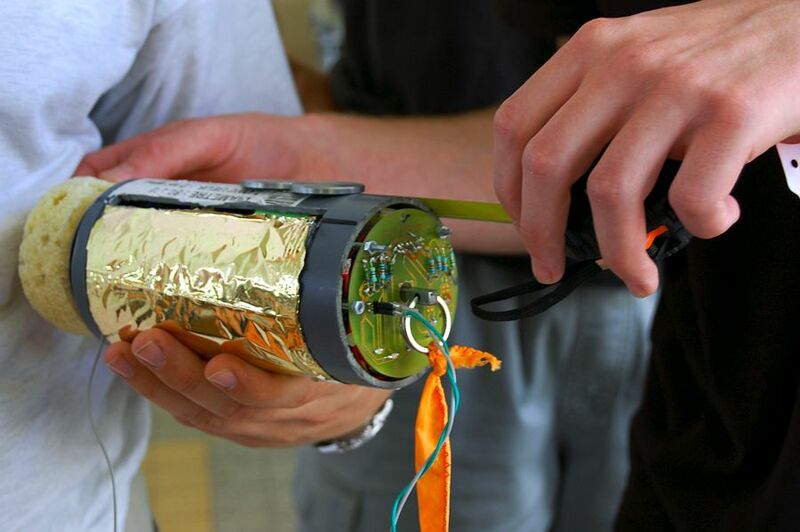 And for the 2ndCansat France competition youngsters will be facing off with space probe designs required to pack all their electronics and auto-landing equipment inside a cylinder the size of a drink can. This year’s space festival will take place on 26-27 August. Credits: CNES. Alongside the main event, a space festival open to all will be taking place on the beach at Biscarosse on 26-27 August, including mini-satellite and water-rocket building from 3.00 to 8.00 p.m. Experts will also be on hand to explain how satellite navigation systems work, with the LocaTerre educational kit. And lastly, a space oceanography quiz will provide insights into how satellites are used to predict climate and forecast conditions at sea. A film-concert about the space adventure backed by tribal music will round off the evening at 10.00 p.m.